This is a simply beautiful piece of film charting the progress of a container ship. Well worth ten minutes of your time if only to see how our models get to us by sea! Along the way we glimpse how ports operate and learn a bit about other types of sea transport. I suggest running this full screen at the highest resolution you can manage. Then sit back and enjoy the voyage! Starting at the back end with the job that's taken loads of head-scratching. My plan involved fitting a big rudder through the rear extension and hoping I could run and operating rod through the back end without leaving holes to let water in. 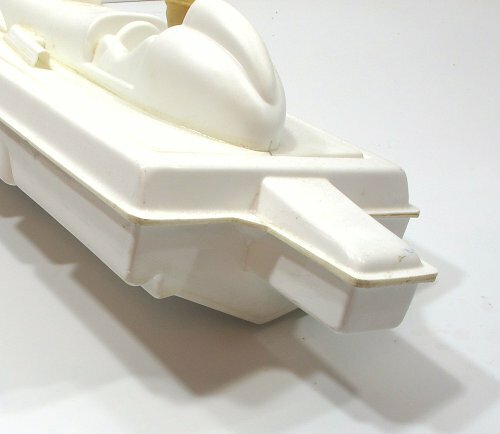 I think the vac-formed hull is made from a sort of ABS. It's strong but once I hacked a hole in the rudder support, I didn't feel it was strong enough. A lining of 2mm plastic firmed things up and also filled in the big gap to keep water out of the hull. I should have used a pillar drill for the vertical holes for the rudder but couldn't be bothered to dig it out of the cupboard. Careful measuring, not easy when there are so few hard edges to play with, and drilling seemed to give an acceptable result. The hole was opened out to take a rudder, all the parts being epoxied in place. In fact, there is quite a lot of Pound Shop Epoxy going on here. Gloopy glue is ideal for sealing up gaps, especially where you can't see them. The operating rod is a lovely fit in some brass tub so I reckon a smear of glue or grease will keep absolutely all the water out. Movement is limited but as this is a fast boat I don't want it to turn too hard. We'll see though, my plan is to get on the water quite early in this build as there are a few imponderables. 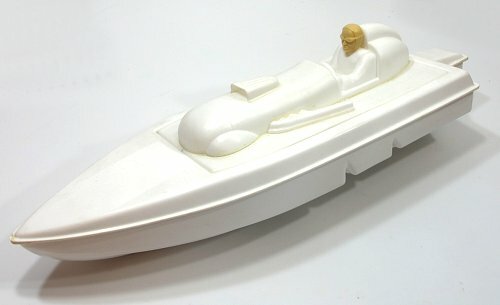 Another kit from the pile, this time a vintage speedboat - well it's a change from all the toy trains. The kit is from George Turner, bought as part of his sale of models when he gave up making boats to concentrate on slot cars years ago. It sat in the stash of projects for a long while before in a fit of enthusiasm, I hauled it out for what I hoped would be a quick build (regular readers will know how this goes) when I ordered all the mechanical bits. Depressingly, I see from the receipt this took place in September 2016. Still, after cluttering up the place for a year, I've finally made a start. 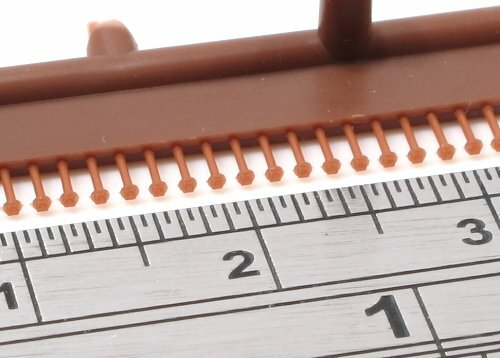 A few details - the model is around 43cm long and 14cm wide. It's a freelance vintage speedboat with concessions to building an operating model. One of these is the main reason I didn't crack on earlier, the rudder is apparently (there are no instructions and I've never seen a built example) supposed to hang out the back. Modern racing RC boats do this with some aluminium stuff but to fit that would require the lump to be cut off the back so I'm going to improvise instead. This isn't going to be a super realistic model. It can't be with that back end. Instead it will end up a little cartoonish but hopefully be a fun model to take for a spin on the lake. Lots of thinking has gone into the name and I'm currently in favour of "Miss-Chief" in the manner of a 60s custom car. Actually, no. Thanks to Duncan Young for this photo from the front at Dartmouth. It's a rare survivor and actually a message to boats to be careful where they drop anchor for fear of this dragging and hauling up the lightly buried cable heading out to sea. 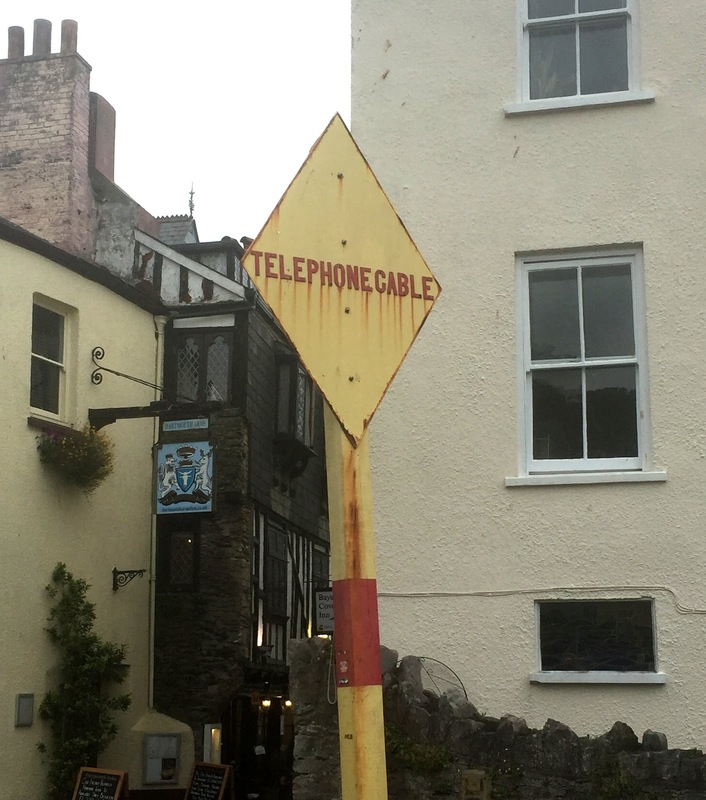 The sign might be old and showing the effects of being near the sea with rust streaking from the letters, but the cable still exists. Cables still exit the town even today, some being laid in the 1980s. I've trimmed this a bit to avoid the picnicing couple on the bench beside it, but I'd reckon on this being about 12 foot high. It would certainly add an interesting feature to a dockside model. Andy Rossiter asking the questions. 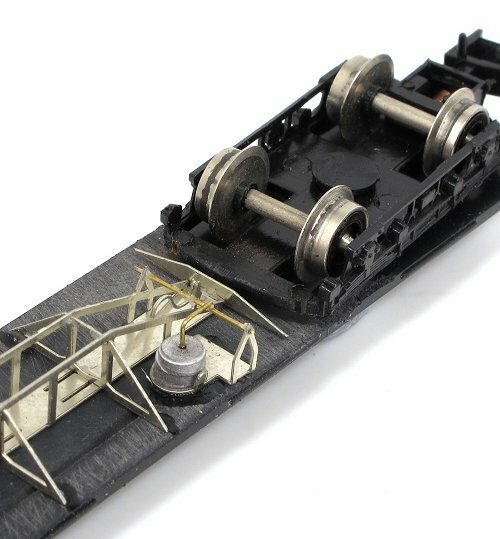 In your “adding extra pickups to model locomotives” workbench article I assume that the picture you show is of a ‘OO gauge” chassis and not ‘O gauge’. 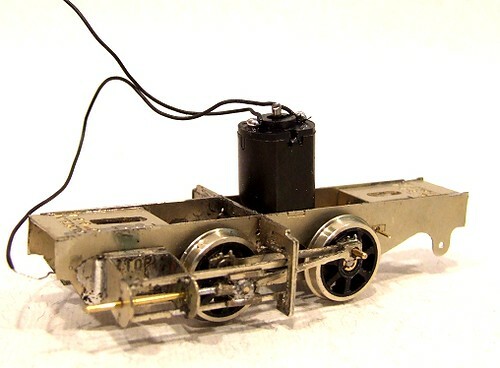 I am currently building a K’s pannier tank white metal kit and using their chassis kit with a new motor. 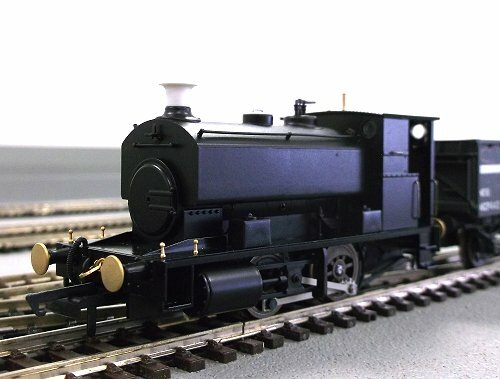 (second full loco kit construction since teenage years, now 59, first was an old Wills pannier kit partially built and bought for a £5 and I’m currently trying to marry a Hornby 0-6-0 chassis to it). The K’s kit has gone ok and electrical pick up and motor mounting have been achieved but not very well so I am starting again in this area, once I’ve got it running as a DC chassis I want to convert it to DCC. 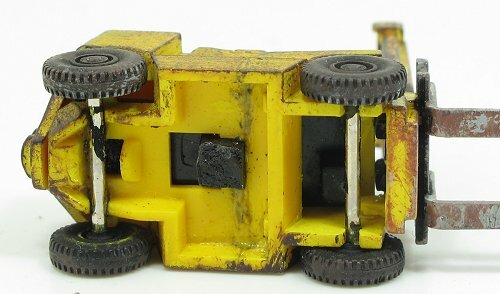 Do white metal kits present more short-circuiting problems than plastic kits or ready to run when dealing with DCC control? I can't see that DCC would be impossible, but there are some challenges along the way. First, you'll need to hard wire the chip in. I think that means you need to identify the two wires in to the chip from the pickups (or pickup and chassis is this is live) and two wires out of the chip to the motor. Presumably there are some instructions somewhere to cover this sort of thing. The scond problem is that everything is conductive so the DCC chip will need to be insulated from everything. Wrap it in insulating tape or even clingfilm to be on the safe side. I'm tempted even to suggest heat-shrink wrap but it would need to be shrunk by something like a hairdryer to avoid damaging the circuitry. 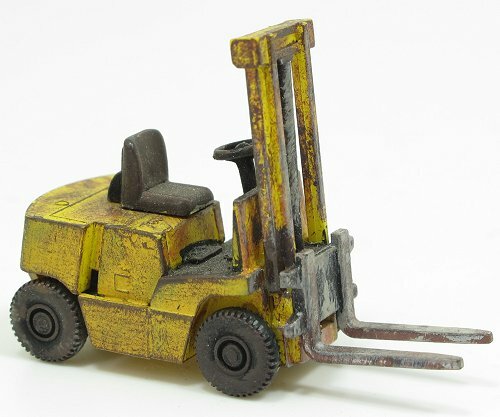 I notice from a web site that you built a fork lift truck from a Viking model. Could you be kind enough to send me details. 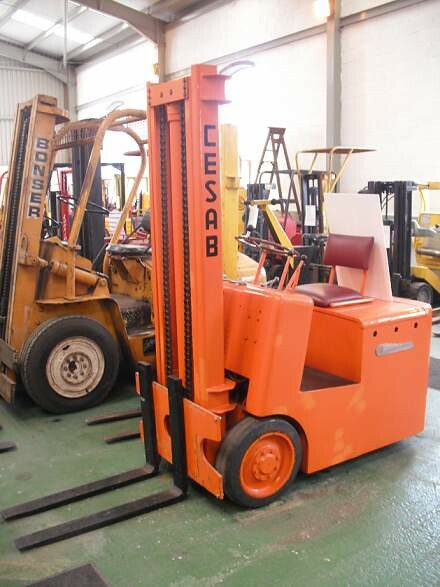 The model I am building - Burnden Park (was featured in your magazine) is circa late 50’s, and we are looking to for a fork lift truck suitable for that era. Any help would be very useful. My model was built around 2 decades ago so the methods might be a bit out of date. I think you have a better chance of buying something suitable now from Base Toys or Noch. None of that was an option back then, so I started with a plastic model from Kibri. Looking at the photos, I needed something from the days when we didn't care if people died when the trucks tipped over. That meant the safety cage had to go. Last weekend was the first one off in a few weeks so I'm getting the chance to catch up with some events I've not brought you. 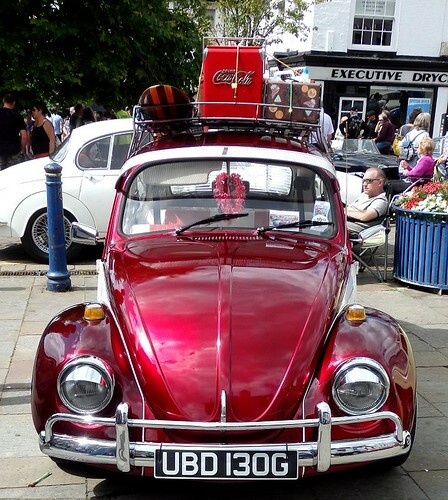 First up, we have the classic car show that takes place in the middle of Warwick. A lovely sunny day and more unusual motors that you can shake a stick at. Well, you can shake a stick if you want but people will just think you are nuts. 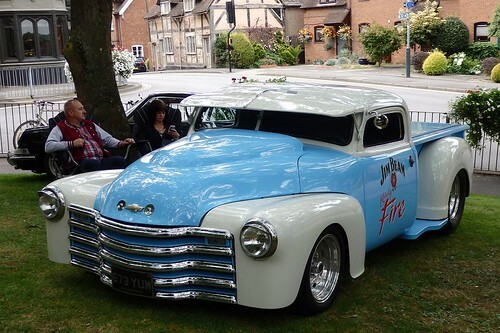 Classics were supplemented by hot rods with a few superb customs to be seen. The only problem was that there were so many people it was difficult to photograph things - but that's no bad thing as it's nice to see the centre of town so busy. The full album is on Flickr. A little more video from the Wiltshire show a couple of weeks ago. 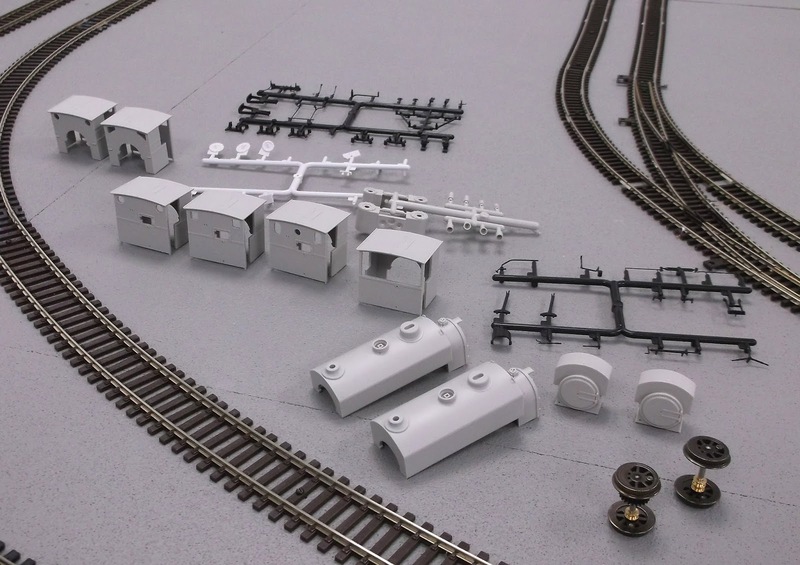 This time the popular Indian Hill Railway layout built by the East Surrey 16mm group. This time I'm afraid the lighting wasn't great for my very basic camera equipment but it's still a fun ride and it seemed a shame to waste the footage. My car WILL be roadworthy next year, and I don't need to do any work. 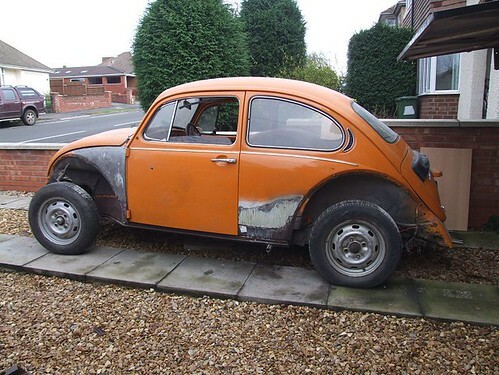 This is the current state of my Beetle, well apart from the rear tyres which are flat. Despite this, I can be sure it will be roadworthy by the end of May next year. How come? Am I finally going to find the time to fix it? Have I come into money that will allow me to pay someone else to get it back on the road? 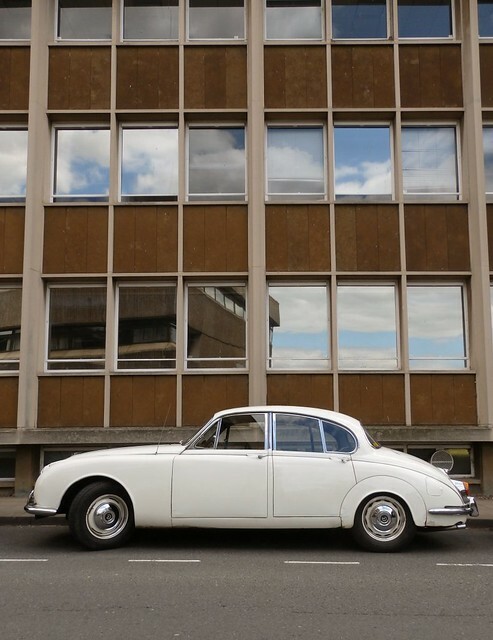 It's simply that since it was built in 1973, next year, the Government has decided that it will no longer need a MOT test. If I get insurance, I can legally take it out on the road. This will be a short journey. Basically, down the hill across the road at the bottom and into the hedge - what with neither brakes nor steering working. Am I wrong, or is this just madness? I appreciate that most people in charge of a 40 year old car will be caring for it but there will be some that won't. A MOT isn't much to ask every vehicle to pass each year. How long before there is an accident involving an unsafe classic and the media are crying out for all old cars to be banned from the road? Good grief, the Daily Mail headlined this story, "Rustbucket cars made before 1977 will be exempted from MOTs", so we'll be lucky to make it into the autumn before the ban. Lots of good stuff in your local newsagent at the moment (or on your doormat if you've been smart enough to take out a subscription) in the larger scales. Starting with Garden Rail, Tag Gorton is back, tangling with a Ragleth steam loco and adding details and features he likes. We then take a trip to New Zealand for a very detailed sawmill model. Outside the UK, there seems to be more emphasis on realism in the garden and this is certainly a lovely looking model, all made from Kwila wood - something I don't think you can find in the UK although alternatives are available. 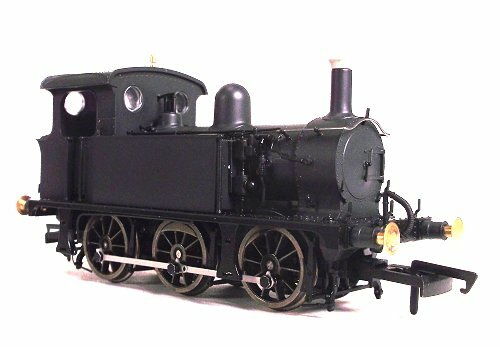 Loving odd-ball locos, "Wort, a shunting tractor obviously appealed to me as did the modifications to a vertical boiler Mamod "Brunell". Building fans will like the Welsh chapel, far more than a straight kit build, and the 3D printed kiosks protecting lineside electronics. It's good to see a layout in print and this month we have The Shreen Valley Railway which appeal because there's a lot of detail bringing the scenes to life. Finally, I'm getting to like 7/8th scale models and the Model Earth Tumbril's built and painted by Steph' Hicking really look my sort of model. 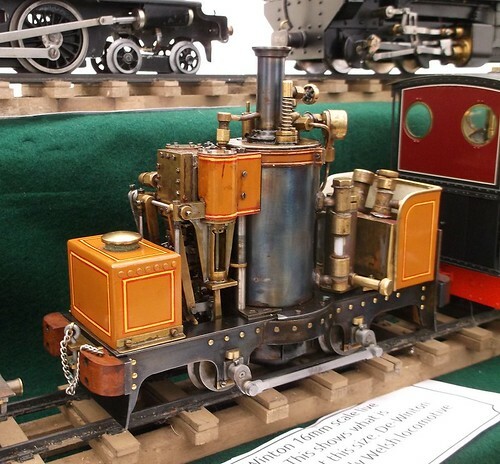 Moving over to EiM, much of the focus is on the Midland Model Engineering Exhibition which we preview. The first feature - a mine dump truck - is one of the entries in the show and a superb model I had the chance to photograph at Hereford SME. We return to the Panter tank serial with the turret, Even if you don't want to build this model, the details of the insides are very instructive. I'm keen to introduce a few simpler projects for less well equipped (both in skills and machinery) readers. We start with Putt-putt boats, the little candle power models that you can buy for a few quid or better still, make for even less. Great fun for old and young. There are visits to Hereford, Burton and Statfold Barn for rallies too, so plenty of eye candy if you like small scale steam engines. Railway companies loved pre-cast concrete, especially the SR. Made in factories and churned out in large numbers, they were cheap, rugged and standard, something that always pleases those in charge. 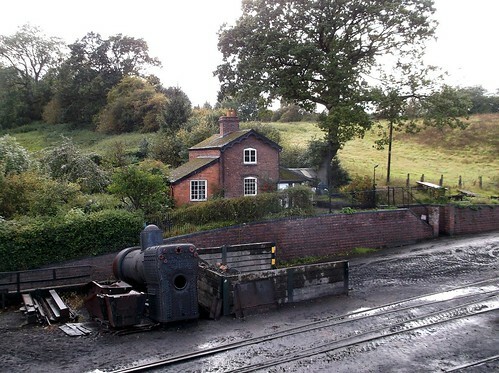 The coal bunker at the front isn't necessarily railway though. 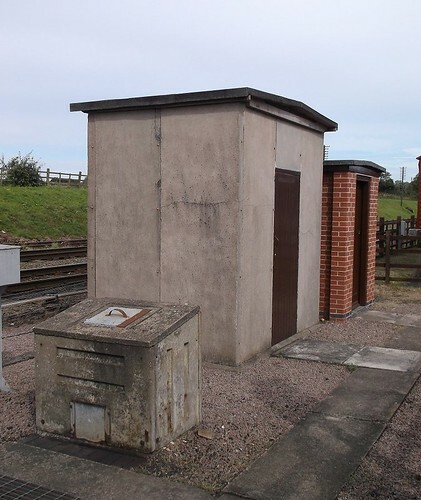 I'm sure I remember one of our relatives having one behind the house so maybe it's a domestic product, or maybe the railway company didn't bother to make their own and just bought in from outside. The annual Wishlist Poll – which normally runs in October with the reuslts widely published on RMweb and in the press – is ‘taking a holiday’ this year but plans to be back in 2018. The Poll Team feels that this short break will be helpful as the results have been consistent over the past few years and some manufacturers are in a ‘catch-up’ situation with their programmes. Full results from the 2016 poll can be found here. 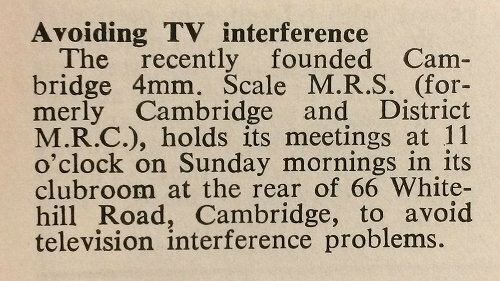 From the club news section of Railway Modeller, December 1965. The address appears to be a private house on a post-war estate. I'm not sure how they came to chose 11am as according to the Radio Times, this would interfere with religious broadcast Seeing and Believing followed by Better Photography on BBC 1. BBC 2 didn't start broadcasting until 7pm in those days. How lucky we are to be living in a time when our tellies are full of stuff 24 hours a day and we can run toy trains (RTR ones anyway...) without causing interference. Another weekend, another exhibition to visit. Batting down the Fosse Way for a couple of hours brought me to the White Horse Country park where I found model engineering and garden railway show. Pretty much perfect for me, especially when I found this sign. A restorative slice of cake and cup of tea later, I was able to enjoy the show. Inclement weather didn't put too much of a damper on things. 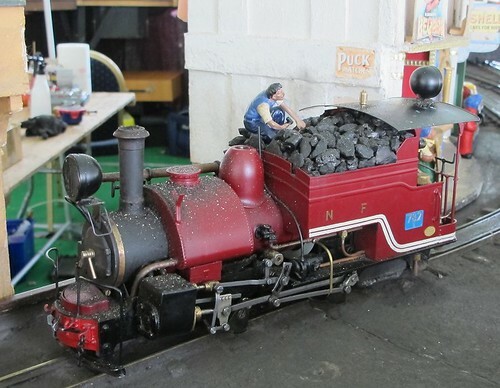 For a start, there was a tent full of model engineering and garden railways such as this lovely DeWinton. 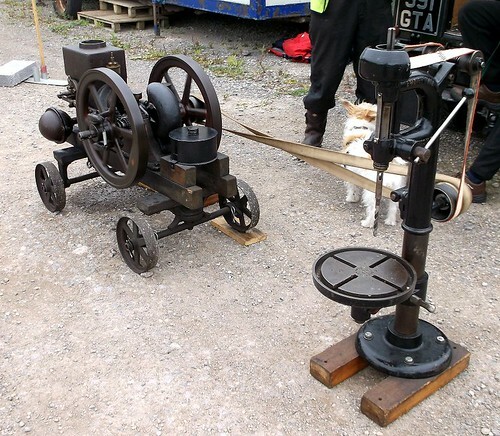 The owner had inherited it from another engineer and is busy replacing the crank axle so it can be returned to steam. Better still, underneath the table was a loco I really coveted. A rare Atlas Works model of Polar Bear. Years ago, when this was being advertised, the maker sent me some photos but I didn't have a hope of affording it. Pity really, as the model looks fantastic. Alongside the tent was the garden rail track seen in yesterdays video plus a raised track and several stationary engines puttering away. Moving to the hall, there was a tent full of Indian Hill Railway running with self-weathering locos. This was a work trip so there was much chat with the owners of this layout. My camera went for a ride here too, I'll try and get the results edited an on here next week. Much chat with the trade both here and in the hall. People are starting to recognise me, which is the point of all these miles on the road. The more I get into this end of the hobby seriously, the more I'm finding of interest. 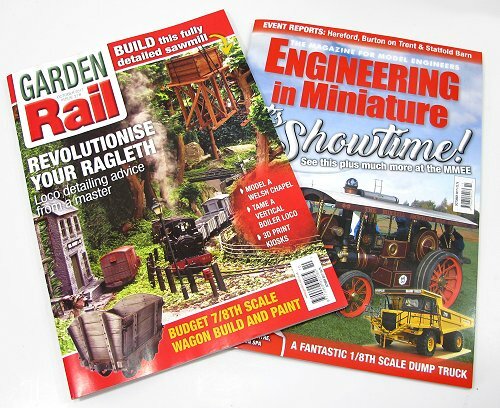 Look out for the results in an issue of Garden Rail in the next few months. 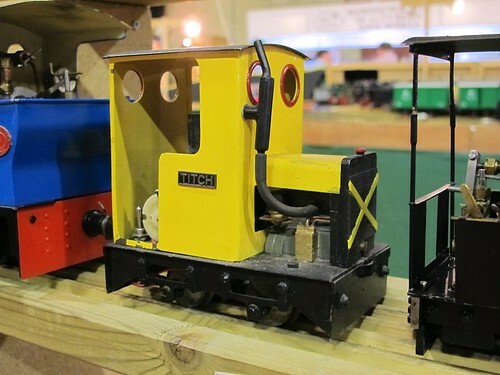 Last weekend, I visited the White Horse Model Engineering and Garden Railway Show (photos tomorrow) and while there, enoyed a good chat with the guys running the 16mm and G scale lines. Spotting a flat topped wagon in a train, I couldn't resist sending my camera for a little ride. To make more of it, I filmed some of the other trains operating and even managed to catch a few more in the background. August bank holiday isn't a great time to finish your eBay auction. It IS a good time to be bidding though. This year I snagged a Monogram TR7 plastic kit in its cellophane for £20 (usually £35+) - it won't stay plastic wrapped for long. 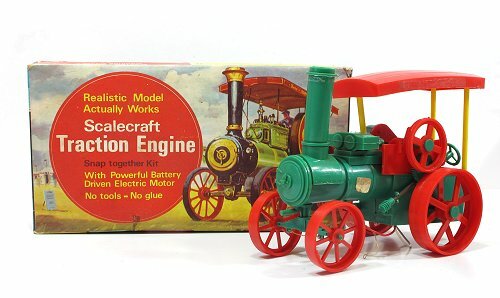 I also grabbed a Scenecraft Traction Engine for a tenner. This is one of the rarer and more interesting kits in the long defunct range. The seller said "Has been assembled and then taken apart. Believe all parts to be in box but cannot guarantee" so this was a bit of a risk. The photos showed the main bits appeared to be present so I stuck the opening bid on it and won. 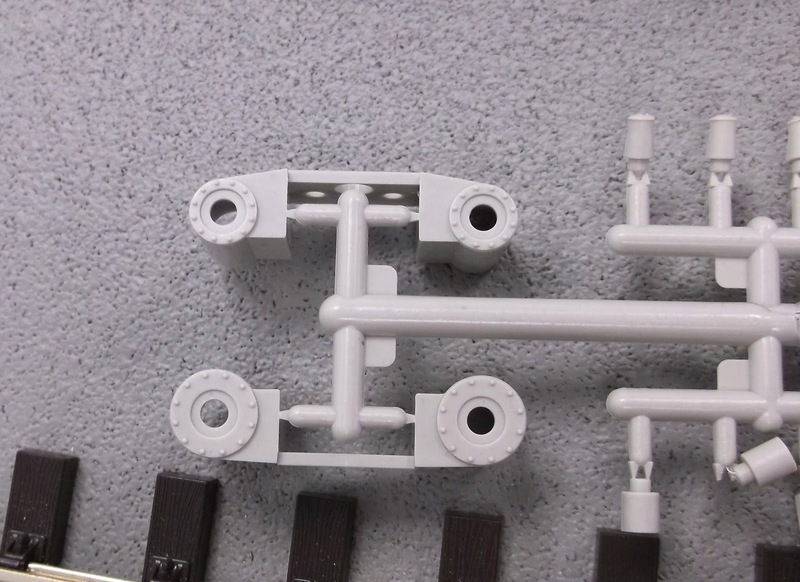 Back home, the parts were assembled, these are glue-free kits, and working through the instructions it became apparent that there were bits missing. Most of the valve gear for a start. Then there is a motor and some of the operating gears, but not all of them. We've lots of small scale stuff in BRM this month. 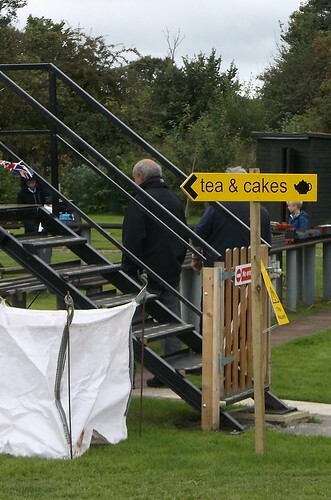 If you've been inspired by a visit to The N Gauge Show at the weekend, you are going to be very happy. My first project is building a lineside industry that could fit into the corner of any layout. 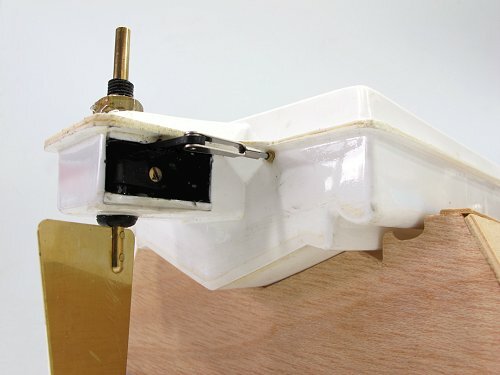 Making use of the Kestral Designs factory building, but using techniques applicable to all scales, McVittie Mouldings could be from any era in the last half century. 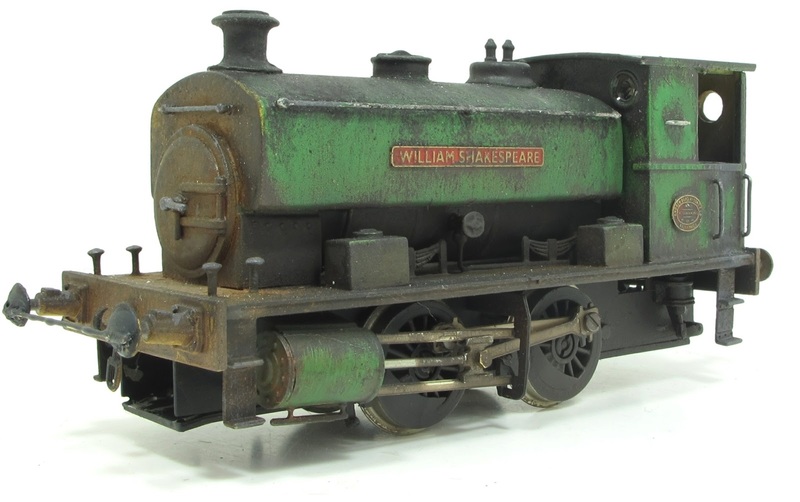 If you have some old Graham Frish BG's, or spot some on sale cheaply, the all they need to come up to modern standards is replacement of the rather basic underframe. Handed a kit at TINGS last year, I finally get around to fitting it to the bottom of a vehicle. It's a simple enough job and certainly lifts the model. 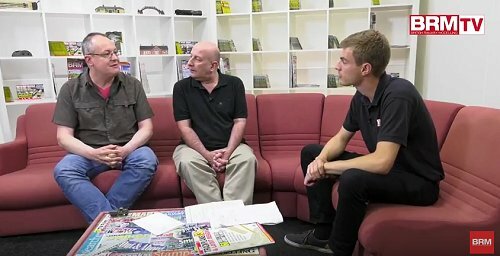 The DVD is a preview for the 10th Anniversary Peterborough show so Howard, Andy and I get in to the studio to have a look at our favourite layouts from past years. More details of the October 2017 issue on RMweb. With an hour to kill in Bridgnorth a few days ago, I wandered over to the Severn Valley Railway. The last train had arrived and the loco was being put away, but mooching around, I spotted this little building behind the engine shed. I'm sure plenty of people will be able to tell me much more about it, but at first glance, this looks to be a classic railwayman's cottage. Hardly a generous abode, it has a garden suitable for growing plenty of vegetables plus close proximity to the shed. 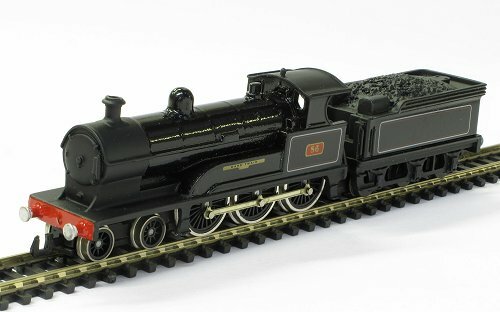 It's definitely the sort of building anyone modelling a steam era MPD could use. Not too bad a scratchbuild other than the arched brickwork over the window tops (I'd use Wills) and fancy bargeboards. 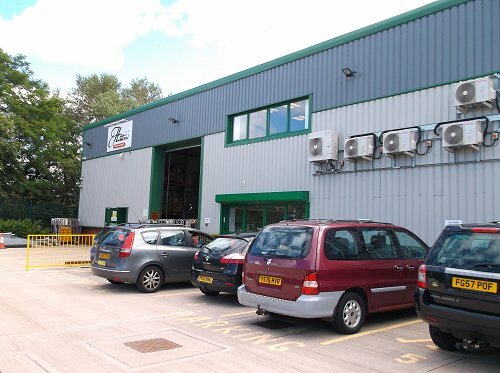 Hattons - best known as the largest mail order model railway supplier in the UK - actually has a shop. 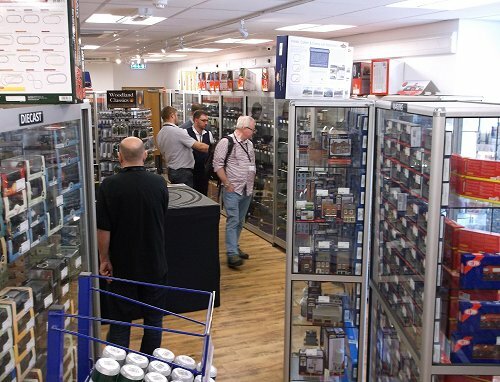 A proper shop you can walk in to and buy models from. Admittedly, the location isn't convenient if you use public transport, but for those using a car and in the area, it's excellent with plenty of parking and not far to walk from the door with your purchases. Inside, the shop is well laid out and you can buy everything on the website. Most stock is in cabinets and if you can't see what you want, just ask. Not everything is on show. Having said that, it's probably in stock in the big room next door. Yes, the famous warehouse. 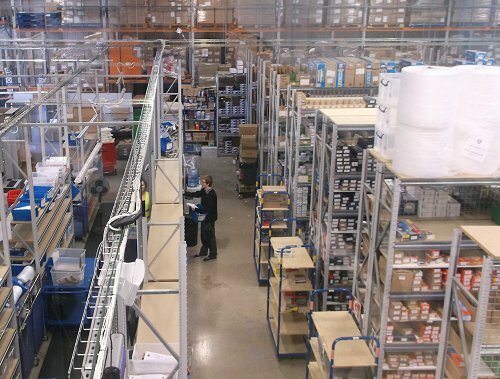 I wasn't sure what to expect but in truth it's just a very efficient warehouse but full of model railways.To be fair though, they are really putting some effort into customer service by being able to answer questions and help people out. Several of the team I spoke to are real enthusiasts, including one who is a volunteer on the Manx Electric Railway and recognised me from touring the sheds a few weeks earlier! Yes, picking and packing is the core of the business, but this is really evolving as yesterdays announcements show. 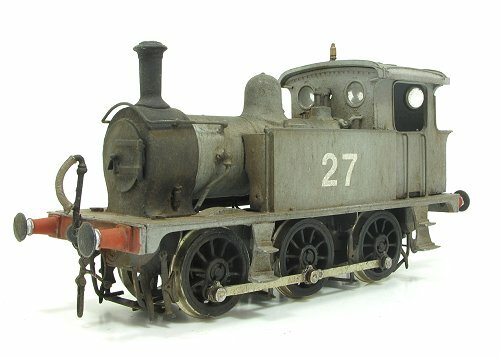 Hattons have announced a couple of new locos. Exciting news, but also frustrating. Why? Because they are two I've already built from kits! The Southern P Class isn't a surprise, people have been sniffing around it for a few years now. I know one magazine editor who tried to persuade various publishers it would make a cracking RTR model - and he wasn't wrong. In the meantime, I have built the kit twice - once in BR livery for Hellingly (it was the only loco passed to run on the hospital branch) and more recently for BRM as an article, finished in wartime livery. Made from the South Eastern Finecast whitemetal kit, it's not a difficult build but the kit is showing its age. Painting the model into pre-grouping livery, or the rather attractive Bluebell colours is going to be beyond most of us, and now you can just buy one for £99! 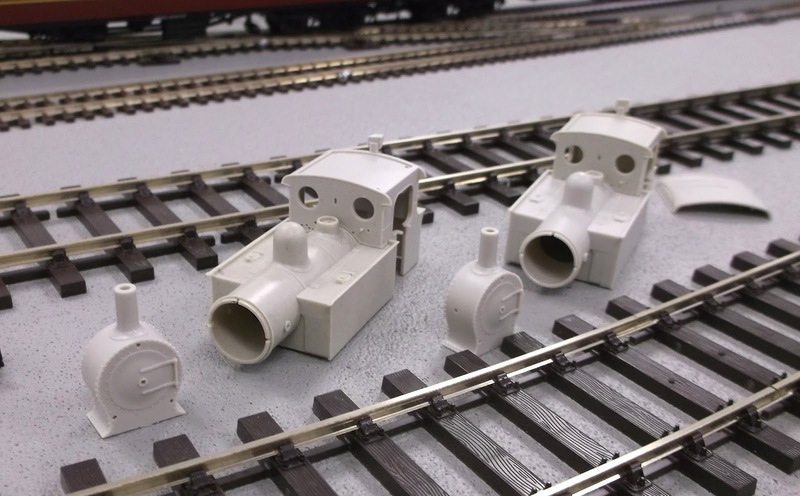 The second model is an industrial Barclay. Colourful locos that can appear in loads of liveries are the PO wagon of the engine world. Done properly, and by that I mean produced in sufficient numbers to satisfy demand, they should be a bit of a cash cow. 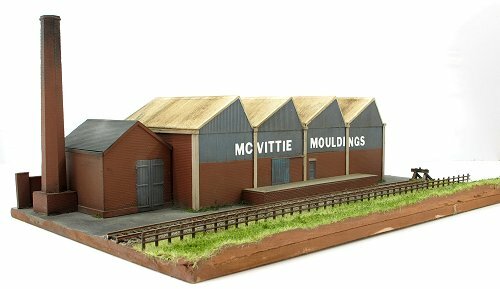 Again, I've built the model, this time for Hornby Magazine. The kit is one of DJH's beginners range and a very pleasant build which I've recommended to many looking for their first steps in kit building. What I've shown you are moy models and you probably want to see the RTR versions. Working EP's were on show but my photos for some reason aren't the best. To be honest, both are cracking models and I'll admit to being tempted by both. Not sure which colours to go for but fortunately, neither is a limited edition so I don't have to rush. But, a little bit of me is grumpy as that's another 3 locos I can't run without hearing the words, "Is that the new Hattons one?" followed by, "Are you going to buy one to replace it then?" 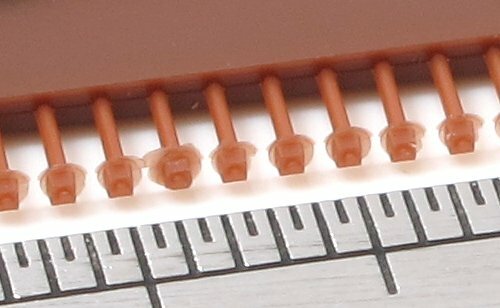 Grumping aside, I did take some photos of the component parts because I found these as interesting as the running models. 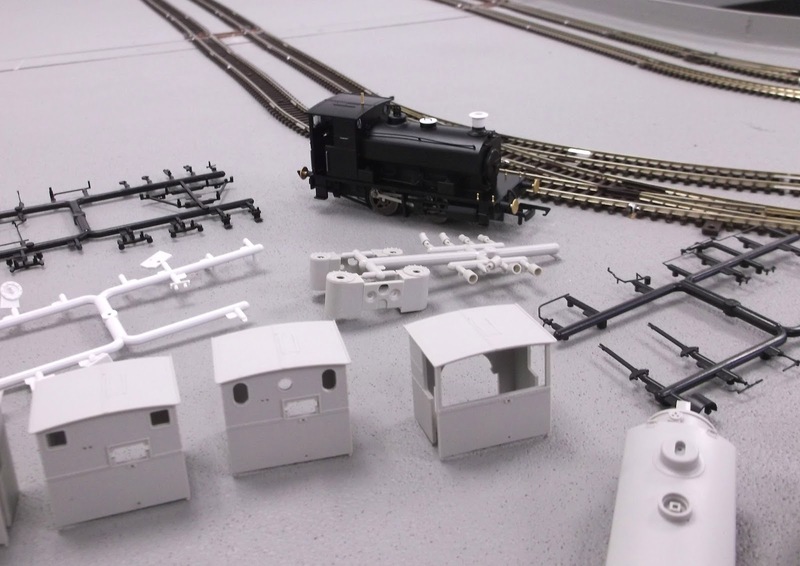 I'd love to get my hands on a set of bits and build my own (yes, I know this is impractical for many reasons) loco. Click on the photos for much larger versions. Last weekend was another busy one. Saturday saw me visiting the Llanfair garden railway show. My plan was simple - talk to all the trade and as many other people as possible. 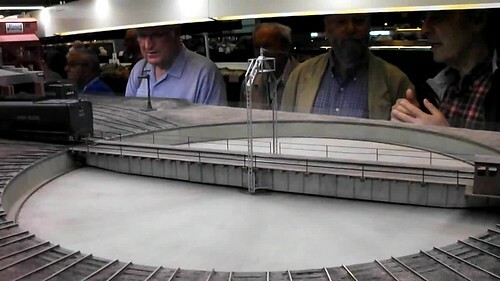 Oh, and photograph a layout and video stuff. The show is bigger than you might expect with a couple of sports halls, two squash courts, a side room and stuff in the corridors. Lots and lots to see. Enough to entertain anyone for a day but oddly, the crowds seemed to tail off rapidly at lunch time. 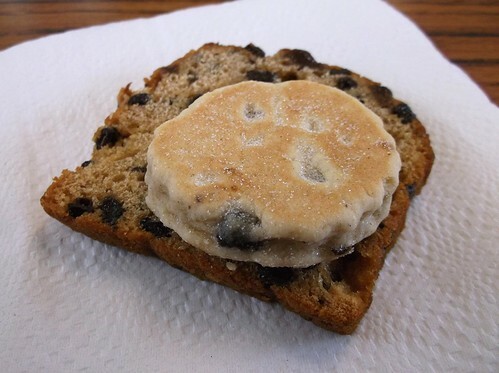 For you dear reader, I tried the local delicacies - Welsh cake and Bara Brith - which were handily packaged together for a quid. The cake was nice, if small, and the Brith tasted like a fruit loaf. Both very nice and I could have enjoyed seconds has I the time. As it was, the show passed in a blur of chatting and photography. Sadly, the video was less successful. The main layouts were in a dark hall and nothing much seemed to be running one the crowds lulled. The reason, I suspect, was the terrific weather. On the way back we made the best of it with a quick stop at the Welshpool and Llanfair railway. Long enough to see a train depart and take a look at the little model railway exhibition in one of the sheds. That and the largest collection of second-hand railway books on sale I've ever seen. There was a days rummaging if you wanted it! Photos from Llanfair show and railway on Flickr. Sunday, I was back along some of the same motorway (hello M6) for the Gauge O Guild show at Telford. This time I was on the hunt for new products and news for BRM. Well, there was plenty. My day was spent running between trade stands and the Guild's photo tent. Apart from 20 minutes for lunch and half an hour at that end of the day looking at layouts, I didn't stop from the moment the doors opened until chucking out time. There wasn't even time for cake! Whisper it quietly, my favourite layout wasn't British. A few layout photos over on Flickr. Blue diesels in the 1970s. ELO soundtrack, what more could you want? Seriously though, it's a pertinent reminder of just how much the railway world has changed in a few years. A lot of this stuff was really modern when it was filmed, although not the forest of semaphore signals. The APT-E is though! Sometimes it's good to have a bit of a challenge. When Paul Martin of EDM models put a request on his newsletter for people to take photos of his new NBW range of cosmetic bolt heads, I thought I'd have a go. All were taken with my Canon G12 and are shown here smaller than full size. To get an idea, this is the last photo straight from the camera with only a crop and touch of lightening up. Not bad. I think that light matters as much as focus. The really tiny bolts are translucent making them harder to shoot. Best of all, I get to keep the bolts for use on future projects. All I have to do is take pictures of many packets. Looking at them, I already have some ideas for their use. I've mentioned in the past that I'm a messy worker. Every so often, the workbench needs to be mucked out to remove the detritus from many projects. Gradually it builds up until it threatens to overwhelm the inch thick wooden cutting board I operate on. 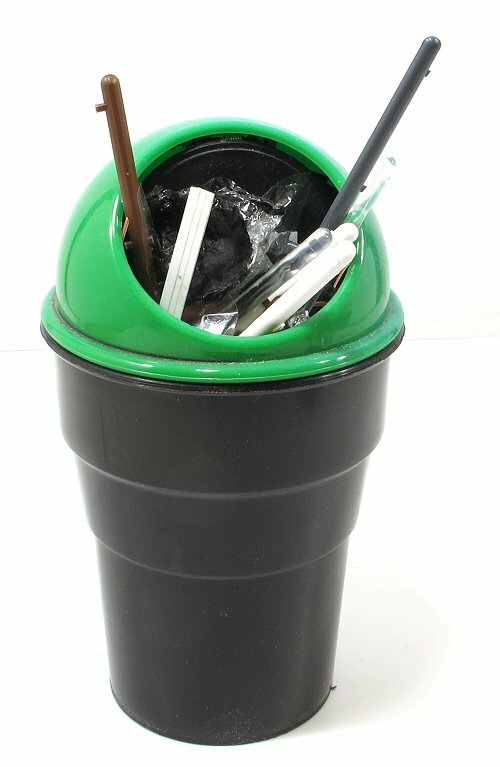 For a while, I had it in mind to get a pot or something to chuck bits in for easy transfer to the bin. I didn't just want an old tin though, I fancied something more stylish. And I've found it. From Flying Tiger comes the tiny little desk bin. 160mm tall and 100mm wide, it's small enough to fit on the workbench without swallowing much space. What it does swallow is all the little leftovers that previously had to be gathered up. 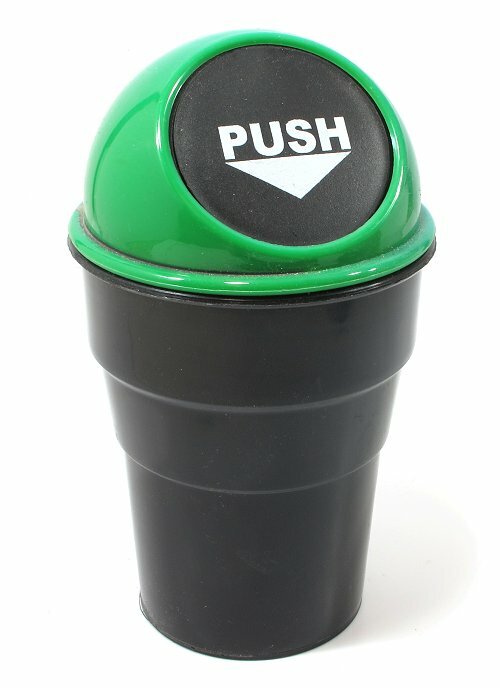 A spring loaded flap keeps them all in place if the bin gets knocked over. It's tall enough to stand out and has enough capacity that I'm not emptying it all the time. Cheap too at about 3 quid. 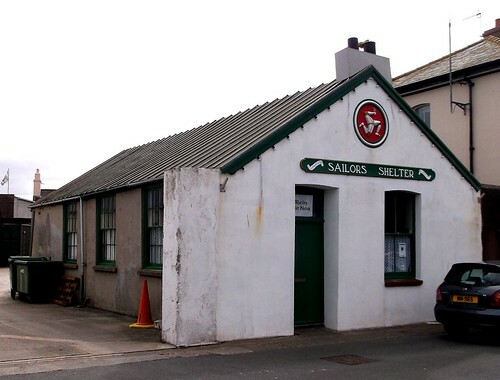 Spotted on the quayside at Peel, this nice looking Sailors Shelter that now appears to be in use as a sort of village hall. Looking on-line I find it being used as a gallery and shop for the traditional boat weekend. To me, it's a very Celtic looking structure. You'd easily get away with it set in Scotland or Ireland. Simple enough from a modelling point of view. If the windows are bought i n, the result of the model could be made from plasticard roughened slightly with abrasive. You'd need to keep things subtle or the result would look like an adobe building that had melted and this definitely isn't made of mud! 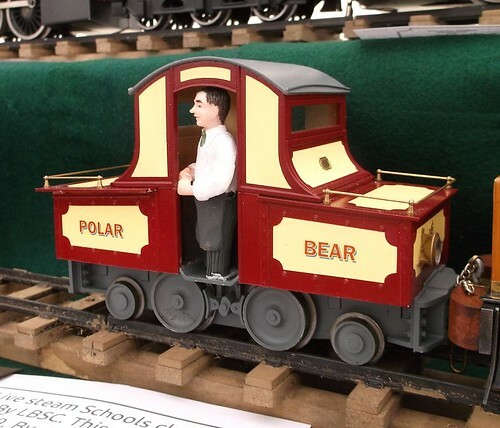 People tell me that the reason we don't seem to be growing railway modellers is that kids don't learn woodwork or metalwork at school any more. I did a term of woodwork and here is the result. 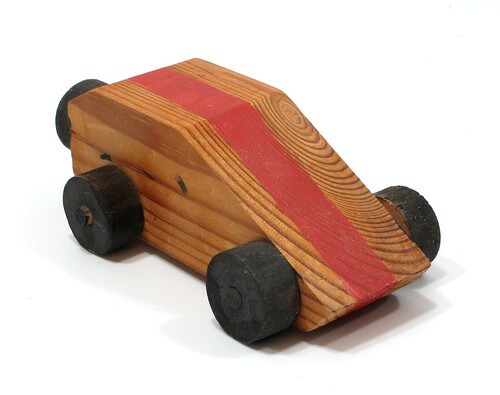 A car shaped lump of pine. The wheels go round, sort of, the red line was obviously masked but I didn't bother to do this when painting the wheels, or taking them out for that matter. It's quite a pleasing object so I can't throw this away, but can anyone explain just how my abilities as a model maker stem entirely from making it? Or could it be that a lack of practical skills taught at school isn't the only reason da kidz don't make toy trainz any more?